I like to think of rugelach as the love child of the cookie and the croissant. 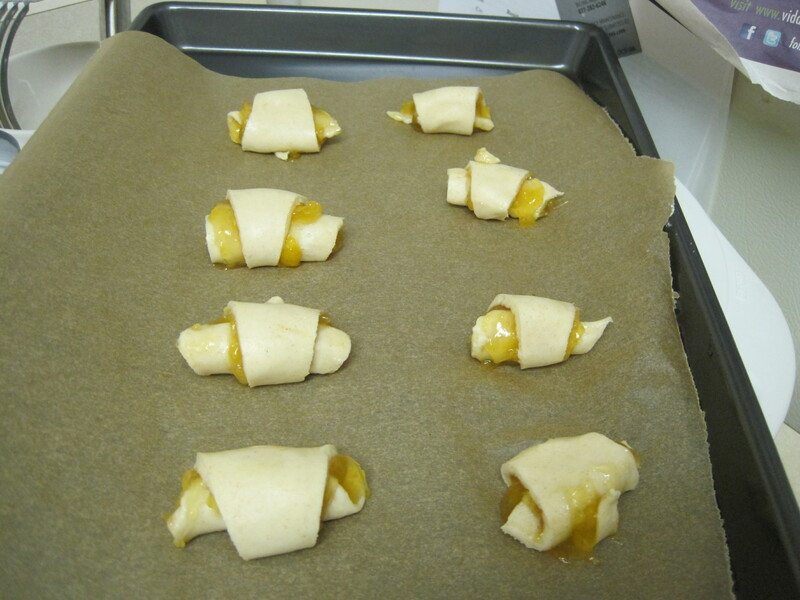 Many traditional European rugelach recipes used yeast, eggs, and sour cream as leavening agents. In my family, sour cream is still a favorite in baking-we can trace our heritage back to Lithuania, Poland, and Russia after all. My mom uses sour cream to add richness to her signature chocolate coffee cake. Grandma Betty and I have even been known to eat sour cream with a spoon…it’s just that delicious. 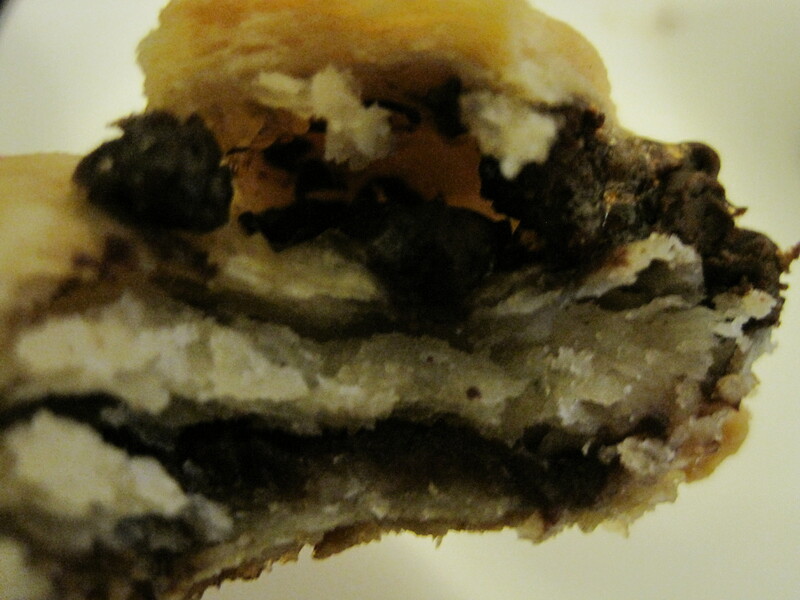 But American rugelach has a twist. When Jewish immigrants came to America, they took inspiration from their new home. You see, while cheese had been around for thousands of years, cream cheese was not invented until 1872. An American dairyman from New York, William Lawrence, created it when he was trying to make a creamier version of French Neufchatel cheese. By 1880, the product was being sold in foil wrappers by the Empire Company. Eventually this became what we know as Philadelphia Cream Cheese (named for the city which was at the time considered a forerunner in elite cuisine). In 1912, James Kraft (of Kraft Foods) developed a process to pasteurize cheese, leading to a surge in cream cheese popularity and sales (not to mention the eventual plastic-wrapped American cheese slices and canned cheese product). Apricot really brings out the cream cheese flavor. I know you have all been traveling with me for awhile now, so naturally you have the same question I had: why did Jews and Jewish delis become so associated with bagels and smear, cheesecake, and other cream cheese delicacies? I argue that it was all about timing. A large wave of Jewish immigration began in the 1880s as Jews left Russia and elsewhere in response to escalated violence against Jews in the form of pogroms (if you don’t know what these are, I highly recommend Fiddler on the Roof as a starting point). Jews certainly were not the only immigrant group coming to America during this period-far from it. But as many of them lived in conclaves in New York, they collectively picked up on many eating habits in that area. Immigrants often tried to fit in and assimilate by adapting their attire, language, and eating habits to match popular American trends. Since cream cheese was trending, they went cream cheese crazy and incorporated this American food into recipes from the old country, including rugelach. 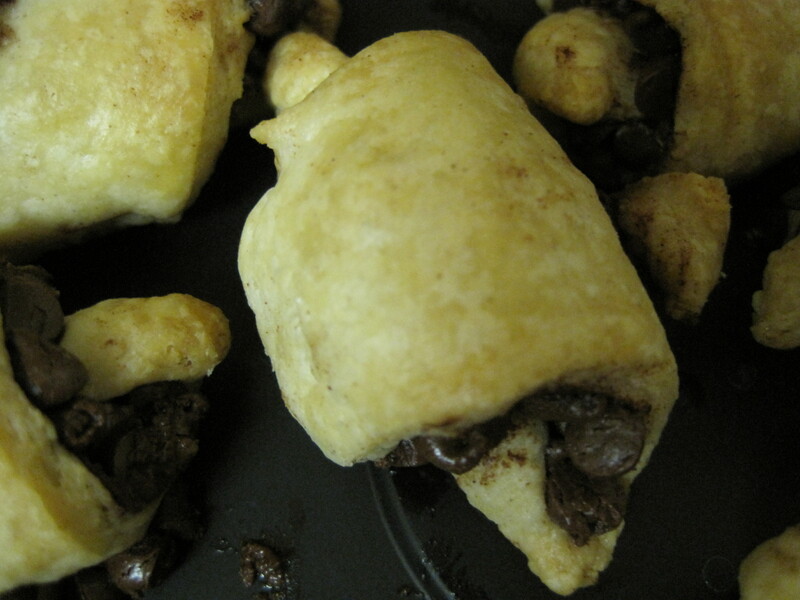 Today, rugelach is enjoyed by Americans of all backgrounds-it is even a popular Christmas treat! The most popular varieties are chocolate and cinnamon sugar, but the possibilities are endless. 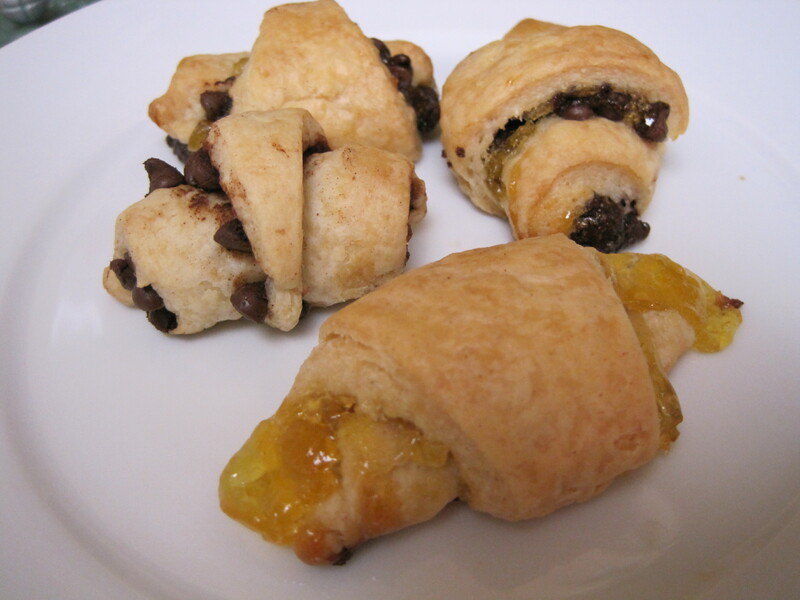 Rugelach is especially popular during Shavuot, when it is traditional to consume dairy products. Nathan, Joan. In The Oxford Companion to American Food and Drink, ed. Andrew Smith, 333. New York: Oxford University Press, 2007. 1) Make the dough: In a mixing bowl, cream butter and cream cheese. Add vanilla, salt, and cinnamon. Slowly add the flour, and mix until incorporated. Chill for 2 hours or overnight. 2) Roll the dough: Divide into 4 balls. Roll the first ball into a circle until about 9 inches in diameter. 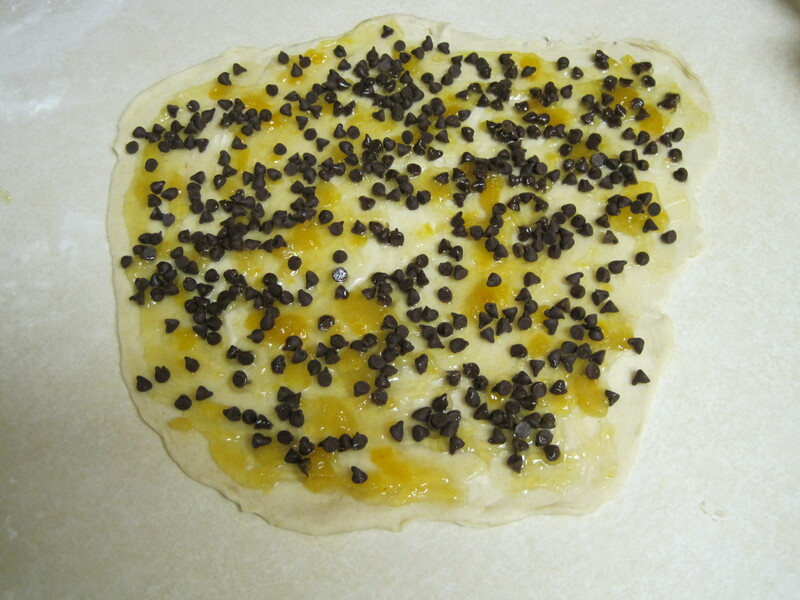 3) Add filling: gently spread a layer of preserves and/or chocolate chips. I made apricot, chocolate chip-apricot, and chocolate chip-cinnamon. Kind of looks like a pizza from this angle. Or a dalmatian. Or a population map. 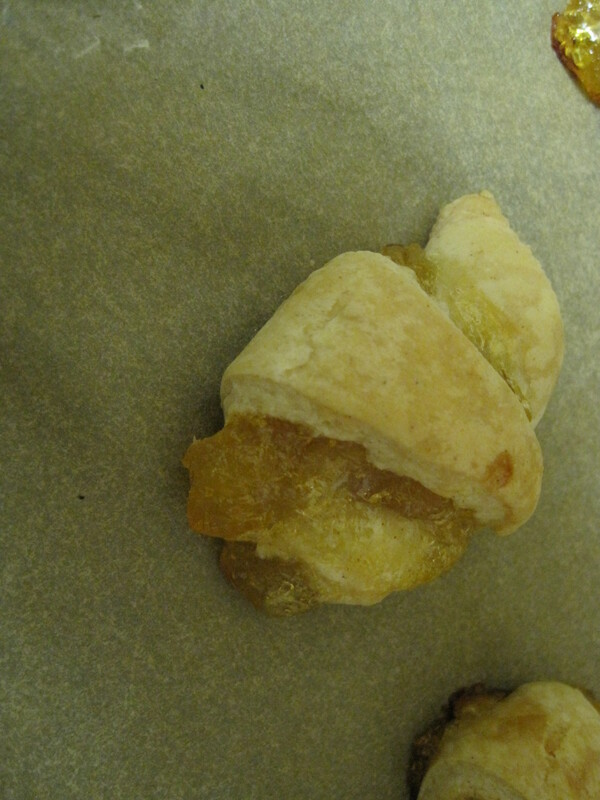 4) Shape the rugelach: cut the circle into 16 wedges. 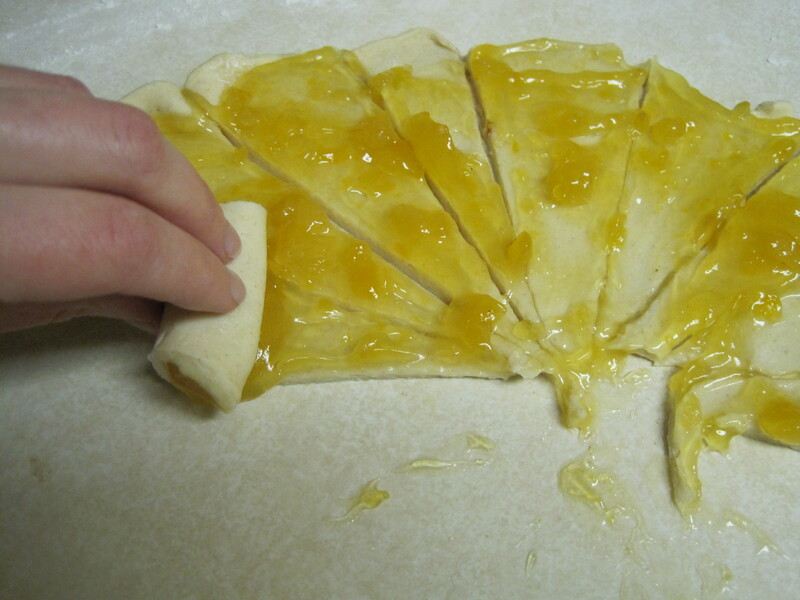 Beginning from the outer edge, roll each slice towards the center. Place on baking sheet. 5) Bake for 20-25 minutes or until golden in a 350 degree oven. 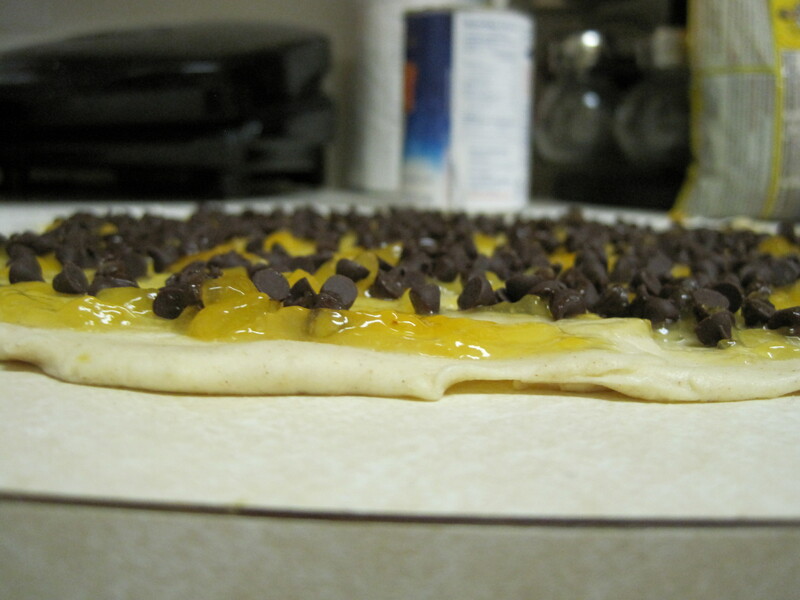 6) Repeat with remaining balls of dough, switching up flavors with each round if you’d like! 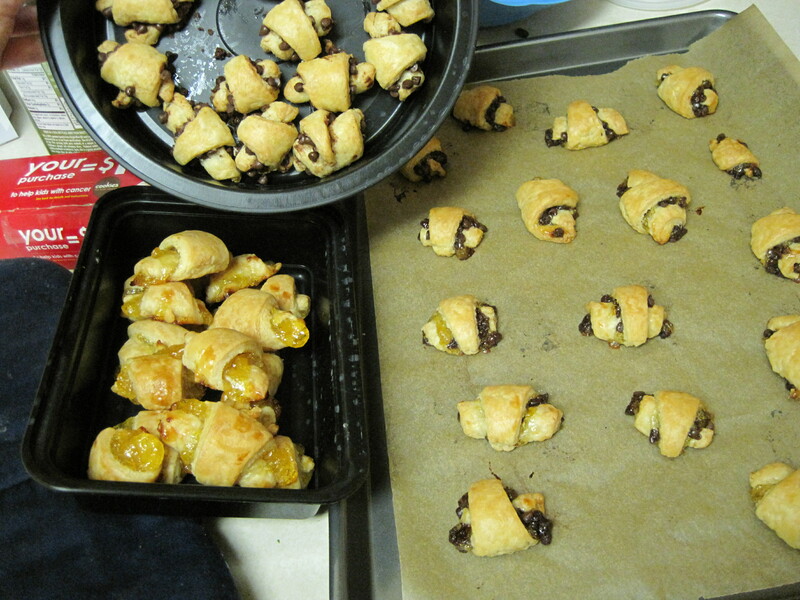 So many rugelach…I see no problem here. P.S. If you can’t eat all 64 pieces before they go bad, they freeze pretty well. In fact, I feel like my college friend Sean always had a supply in his freezer…right next to the pork egg rolls I wouldn’t touch. This entry was posted in Uncategorized and tagged apricot, cheese, chocolate, Cinnamon, Dessert, food history, History, immigration, Jewish recipes, rugelach. Bookmark the permalink.